Sweden is not only famous for its IKEA furniture, beautiful women and football legend Zlatan Ibrahimovic. The Scandinavian country is one of the world's leaders in the iGaming industry, as many casino providers and bookmakers hail from "Sverige". Despite their wealthy population and love for sports betting, the Swedes' have yet to completely regulate online betting, as lawmakers have actively tried to keep the sports betting monopoly of Svenska Spel in place. Nonetheless, pressure from the EU Commission and an increasingly growing grey market, has forced Sweden to implement significant changes on its gambling regulation, that will become effective on January 2019. 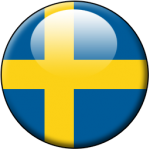 The Swedish market is currently split into two branches: the state monopoly of Svenska Spel and foreign online bookmakers. Svenska Spel was officially established in 1997 when state run Penninglotteriet and Tipstjänst where merged and currently holds a hypothetical monopoly on offline and online betting. Despite initial intentions, keeping local players from punting on foreign operators has been proven to be impossible, as Sweden has repeatedly been warned by the EU, to comply with the free-trade laws of the Union. The semi-regulated environment of Sweden has led to a steady decline in Svenska Spel's revenue, as 56% of local are currently placing their wagers on foreign operators. Starting from 1/1/2019, a new iGaming law will be effective and will only let licensed betting sites operate within Sweden. Their financial obligations will include 18% on Gross Gaming Revenue plus a licensing fee ranging from 8.000€ to 70.000€. Few complaints are made by Swedish punters, as the current situation seems to be working in their favour. Betting can be enjoyed on practically every online bookmaker, as a great number of betting sites offer their sportsbook in Swedish and accept SEK as currency. Gambling winnings are tax free, apart from poker prizes earned from non EU regulated operators, that are taxed at 30%. The most significant betting sites in Sweden include "Norse bookies" Betsson, Unibet & Expekt and British giants Bet365 & 10bet. The fact that foreign betting sites can operate with no financial obligations towards the state, has made Sweden one of the most competitive markets in the world. The only way a bookie can hope to earn a larger portion of the existing player base, is by offering lucrative promotions and high odds, something that greatly benefits local players. Most Swedish bookmakers operate from the Mediterranean island of Malta and are regulated by the respected Malta Gaming Authority. The gambling sector is experiencing continued growth in Sweden and according to financial reports from Q1 2016 to Q1 2017, this is mainly attributed to online operators. Casino providers like NetEnt, Play 'N GO, Yggdrasil and iGaming groups like Kindred, Betsson & Cherry are headquartered in the Scandinavian country. Pretty much every payment method can be used when betting in Sweden, as most sportsbooks accept SEK. Swedish punters can use bank cards, Paysafecards, e-wallets like Skrill, Neteller & Paypal, while also taking advantage of the advanced banking system that lets them deposit through their BankIDs. BankID is a leading digital identification in Sweden, with 7.5 million members, that also allows users to complete online transactions, directly from their bank accounts. Although I am a strong advocate of free markets within the betting world, in my opinion the current situation in Sweden is far from ideal. Leaving operators to their own devices might seem beneficial at first sight to everyday bettors, however, it does come with added security risks. Surely, if you choose a respected betting site, you might limit your chances of being scammed, unfortunately, as we all know this does not apply to every single bookmaker. The new licensing system is much needed and thankfully, will offer positive results to both players and operators.